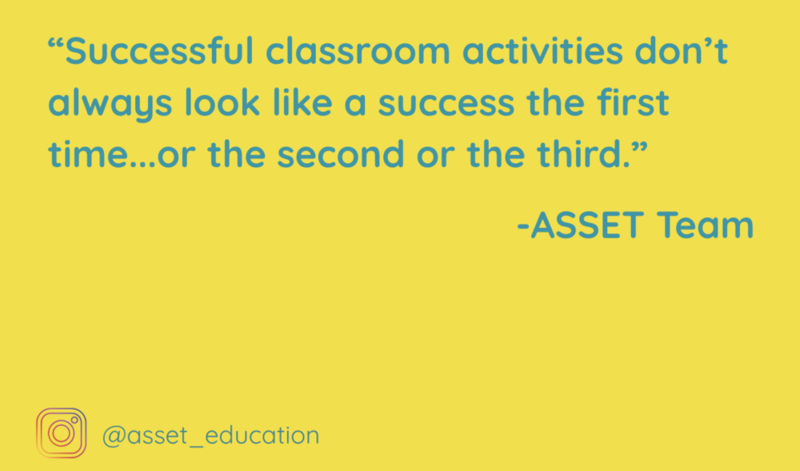 Successful classroom activities don’t always look like a success the first time...or the second or the third. Whether the activity is a new history LARP, introducing new tools like Khan Academy, or bringing in social & emotional learning into your classroom, new activities aren’t always a huge success right off the bat. It’s important to note that student feedback will look different with a social & emotional curriculum. This work is internal. What looks like a student sleeping during a Mindful Body Scan may be her connecting to her breath. Stay the course and continue to show up even if you can’t decrypt your students’ reactions to the curriculum. Many students will respond enthusiastically--this is something they are ready for and need right now. But some may appreciate it silently, and for others it may take years before they are interested in trying it out again. The only thing you can control is the fidelity of your implementation. Plant the seeds now for a better future for all of your students. Stay the course and lean on each other for support!